With the advent growth in the rate of population with the process of urbanization running parallel to it and that too at an accelerated pace, especially in the developing nations, has led the population to concentrate densely in some urban regions which are generally termed to as ‘Megacities’. The rise of human civilizations from smaller units to the concepts of ‘megacities’ and ‘global cities’ has brought in some drastic changes to the settlement patterns of the race of humanity. In terms of population a megacity can be defined as an urban region with a population more than 10 million. New York Metro area was the world’s largest urban agglomeration till Tokyo passed it in the 1950’s. 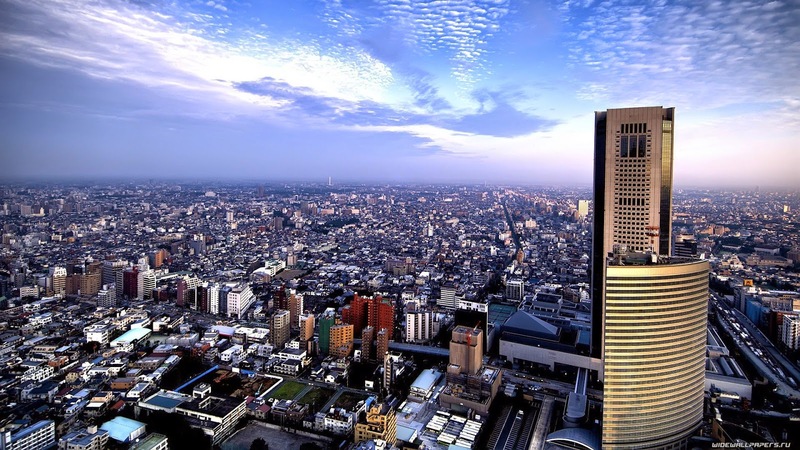 Tokyo-Yokohama area with a population of around 37 million tops the current list of megacities followed by Jakarta, Seoul-Incheon, Delhi, Shanghai and Manila. The trend has dominatingly shifted to the developing world as far as in terms of number of megacities are concerned. The other three western urban regions except New York in the list of 28 megacities are Moscow, Los Angeles and Paris. The Asian region will experience the greatest share of population concentration as illustrated below. Megacities have become the nodal point of Global economy which is generally characterized by dense settlements. There are some points which while preparing plans for these megacities should be kept in consideration for elongating the life span of these urban regions. The tendency for cities to prioritise economic development over environmental sustainability – to get rich first before worrying about becoming clean later – could be an environmental disaster in the context of megacities and at the scale that exists today. Cities are a part of the various natural systems which have their carrying capacities – going beyond may prove degradation and result in the inefficiency of them over a period of them. For developing megacities it would be far more beneficial if they widens there aspect and vision while dealing with the planning exercise. One other factor which is very significant is the geographical location of the cities – megacities lying on the various coastlines will be affected the most if the phenomenon of climate change and global warming is concerned. There have been studies relating the increase in the sea levels and cities like Mumbai have been predicted to get suffered from it drastically. The city authorities and departments have to take some crucial steps in this relation as these cities now holds in a handsome amount of economic cost of themselves. ‘Mature’ megacities in developed countries have considerable resources to spend on things like renewable energy, waste management, healthcare, transportation infrastructure, crime-fighting etc. Developing megacities, on the other hand, not only have fewer resources but are also characterised by social dynamics that, in combination with this comparative resource paucity, can further amplify risks: fast population growth, including a lot of immigration. Developing megacities though also have a brighter chance to learn from the mistakes performed by the mature cities in the past. Governance is also needed to be varied differentially as these cities, structurally and behaviour-wise are different than the earlier metro cities of yesteryear and those in development. The governing authorities need to work dynamically to provide the best they can to their citizens. Megacities are prone to emerging various risks – governance issues, ecological issues, issues related with the quality of life that a human deserves, social issues, economic issues to name a few. These cities are amongst the most dynamic places of this planet and hence their development process should be wisely outlined. Megacities also hold in a risk of Shrinking over a period of time. The quicker flow of goods, knowledge and money in megacities has the potential to optimise efficiency, use resources more effectively and increase flexibility and adaptive capacity. The blog will try to cover the various aspects related with different megacities – there growth plans and roadmap, development policies and urban issues related with them in the coming posts. Thanks Hassan for your words. surprised found your article about mega cities. I also have research about it with my lecture and collaborate with Japan. Nice to hear Maria that you're also concerned with the process of urbanisation, do share your inputs and research about the topic concerned. Thanks for reading it.